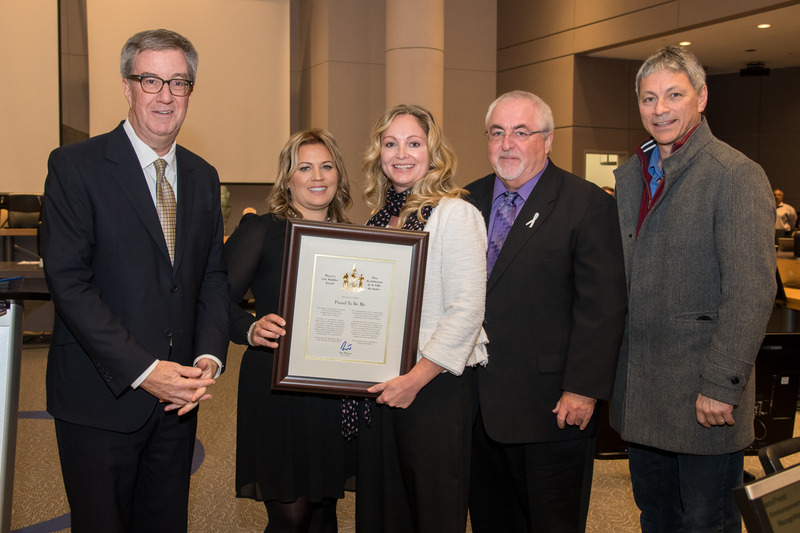 Mayor Jim Watson presented the Mayor’s City Builder Award today to Proud To Be Me. Proud To Be Me was established in 2011 by Cindy Cutts and Jody McCombe. Their goal was to empower youth and provide the tools they need to reach their potential. The organization raises funds for community supports, resources and programs that help empower and educate youth in a way that promotes inclusion and anti-bullying. The organization recognizes the importance of providing an environment of empathy, acceptance, responsibility and opportunity. Proud To Be Me has provided grants to help build child- and youth-friendly communities, support healthy and active children and youth, create mental health and wellness programs, promote acceptance and prevent bullying.